Beauty Salon, El Oceano. 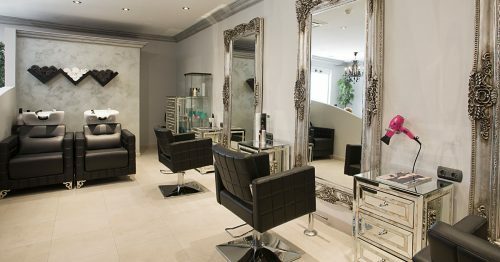 Quality beauty treatment on Mijas Costa. Beauty Salon El Oceano. 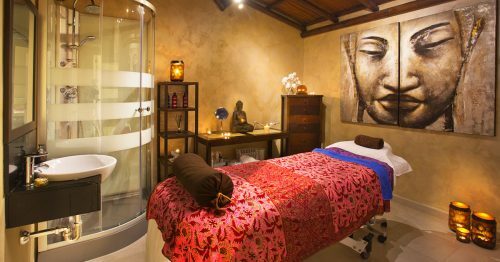 Perfect pampering at Mijas Costa’s best Spa and Beauty Salon. Hair, face, nails and massage, all carried out by our expert team. 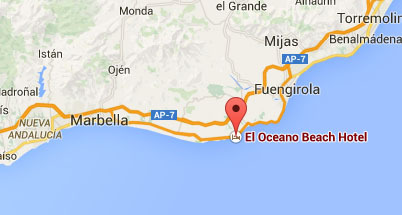 Find us between in Miraflores, Marbella and La Cala de Mijas. Beauty Salon. Perfect Pampering at El Oceano! Call us any time, on 952 492 037 or via hotel reception on 952 587 550. Right next to the hotel, on the main A7 coast road in Miraflores on the Costa del Sol, El Oceano Beauty Salon is the first-choice salon for all of your hair and beauty needs. Our beauty salon is newly finished and elegantly adorned with beautiful decoration, stylish accents and comfortable seating to help you relax and unwind while you are pampered by our highly trained professionals. Whether you’re in need of professional hair coloring, waxing, extensions, a professional manicure, eyelash extensions, men’s haircuts, and more, we are the first-choice beauty salon in the area for all of your hair salon and spa needs. Our friendly stylists are ready to take on any beauty challenge or simply chat with you while you are pampered to perfection. We provide the very best hair coloring and esthetics at the great prices because you shouldn’t have to overpay for great beauty salon services. Schedule an appointment today! 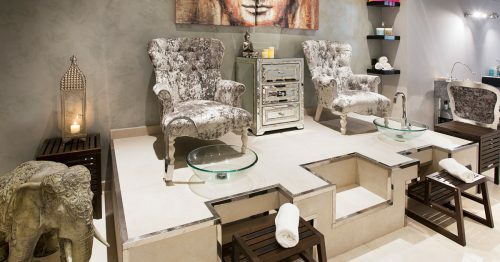 Open to hotel guests and non-guests alike, the Beauty Salon at El Oceano has been recently refurbished with lavish surroundings, new manicure and pedicure stations and private treatment, therapy and massage rooms. The salon offers cutting-edge hair styling and design, specialised skin care treatments, expert nails care and beauty and general well-being and relaxing treatments. 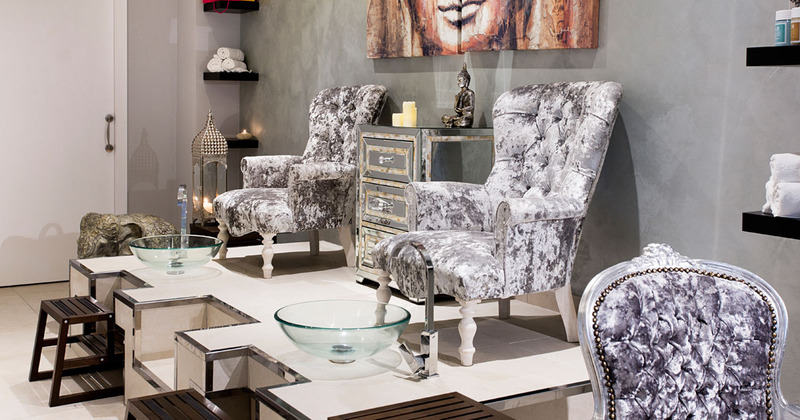 The El Oceano Beauty Salon – A complete and professional range of the very best in salon treatments. Elemis is a professional and much-loved beauty brand enjoyed by millions of spa-goers. A combination of natural active ingredients and cutting-edge technology means Elemis brings some of the most influential and award-winning products and professional spa-therapies to the beauty salon industry. Well know and favoured by most exclusive 5-star salons, lavish cruise line spas and leading retail stores, Elemis treatments are guaranteed to offer outstanding results. It’s not just a tagline, it’s a promise. The El Oceano Beauty Salon proudly offers the premium range of Guinot facial treatments from this, most prestigious French cosmetic brand. We offer a range of quality Guinot facial treatments, including the most well-respected ‘Hydradermie Facial’, exclusive to Guinot, an effective treatment combining Ionisation, Oxygenation and a lifting massage for outstanding results. The Hydradermie Lift treatment adds a lifting treatment that tones and firms the face while exercising the facial muscles. A facial treatment that promises instant visible results and hugely improves the appearance of fine lines, blackheads, acne scarring, acne, enlarged pores and more. Suitable for all skin types, Microdermabrasion takes years off your complexion by gently exfoliating the outer layer of your skin. With regular treatments, the skin increases it’s natural collagen and elastin, giving you a naturally firmer and rejuvenated appearance. The gentle vacuum action gives the facial muscles a mini workout providing an immediate lifting effect and an improvement in the skin tone. ‘El Oceano’ stands for quality and professionalism. Our many hundreds – if not thousands – of clients come to us time after time. 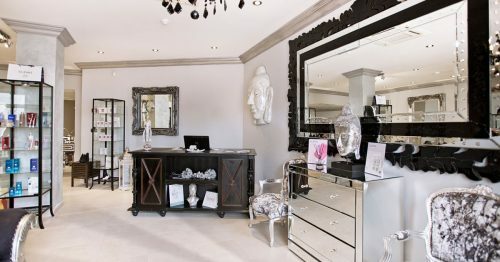 We offer a genuine service of trusted and proven treatments and techniques all in the most luxurious and relaxing surroundings. If you’re new to our beauty salon, you’re in for a real treat. Come and see us, we think you’ll be impressed. Our experienced stylists are constantly in touch with the latest trends and techniques. We offer you the best in hair cutting, creative colouring, highlights and extensions. Come in and ask our advice on what hairstyle most suits your shape and style. From a quick trim, right up to one of our collagen treatments, we look after your hair, properly. 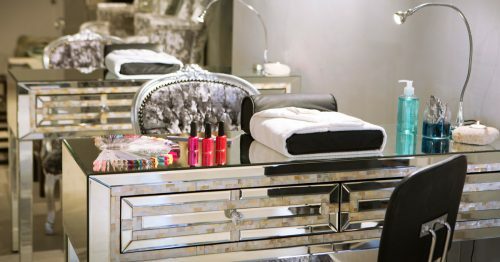 With our new manicure and pedicure stations, our nail technicians bring you the best nail treatments available. Our CND hand and foot treatments will leave your nails in the best possible shape – and looking simply stunning. As well as Vinylux, acrylics and gel treatments, we also offer some outstanding Elemis nail treatments. Love your nails. Speak to the El Oceano Beauty Salon! Detoxify, exfoliate and promote good health with trusted and effective body treatments. El Oceano Beauty Salon offers a range of exotic body treatments, massages and wraps, all with natural products to enhance the overall health and beauty for your body – not to mention your mind and soul! Give your skin the benefits of an exhilerating cleansing and exfoliation. Revive your energy, vitality and enthusiasm, and finish up feeling smooth, hydrated and refreshed. Be kind to your body. Speak to El Oceano Beauty Salon.